The perfect pop of color to bring comfort and enjoyment to any outdoor space. 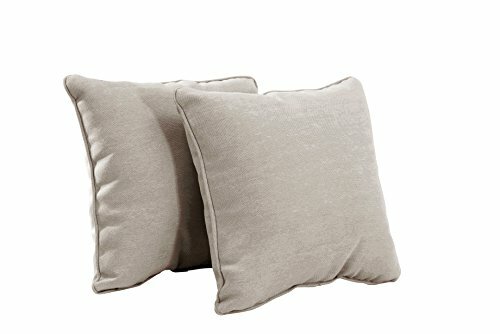 This universal 2-Pack 18” Outdoor Pillow will fit most deep seating chairs. The tan olefin fabric is UV treated to resist fading and repels water. The pillow is filled with poly-fiber for lasting comfort. Cleans easy with mild soap and water (no bleach).